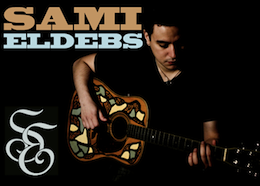 Born in the small, conservative town of Waterloo, Iowa and later raised in both the Philippines and Milwaukee, Wisconsin, Sami Eldebs found himself surrounded by music at an early age. Influenced by everything from Michael J. Fox in “Back to the Future” and the sounds of his parents’ old records to the jam sessions of childhood friends, Sami picked up a pair of drum sticks for the first time on his tenth birthday when his parents surprised him with a brand new set of drums. His desire for songwriting truly became fulfilled when Sami picked up a guitar at the age of fourteen. First taught by a childhood friend Sami continued to teach himself the mechanics of playing guitar. 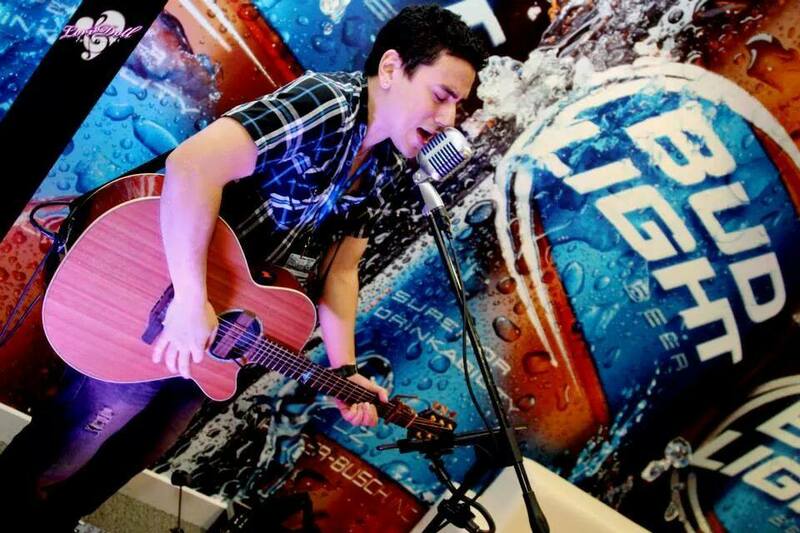 Fueled by his early success in talent shows, small gigs and battles of the bands. Sami chose his own path by pursuing music out on the east coast while most of his friends chose to stay in the midwest, moving into college dormitories. Overcoming such obstacles as depression, homelessness, and heartbreak upon his arrival to New Jersey, Sami never lost sight of his dream to become a musician. After playing numerous venues in the tri-state area and recording independent demos, it wasn’t until his collaboration with producer/songwriter Alex Houton of Wu-Shu Entertainment, whose credits include Crush Management’s (Fall Out Boy, Panic At The Disco, Gym Class Heroes) artist, “Charlotte Sometimes”… Music Row’s 2007 Breakout Artist of the Year & New Music Weekly Best New Country Artist ’06 nominee, “Bailey”, that Sami’s dreams started to become of reach. “The Come Hear E.P.” Sami Eldebs’ (The Same Effect) latest release, a collection of four strong, heartfelt, melodic and original songs, currently available through myspace and live shows. The EP was officially released December of 2007. Sami also has passed as one of 300 out of 17,000 singers of the tri-state area for the initial American Idol auditions. After being offered a handful of record deals and management he later turned it down due to his strong vision and in result starting his own record label and company. Being asked the best way to describe himself he simply and humbly states “I know that I am not the best singer, not the best guitarist, nor the best writer in the world but I am my own ARTIST who plays with all HEART and that is what should matter the most in this industry, so in that case I would like to think of myself as a “HEARTIST”. He is currently in the production of his debut album “Blackouts and Knockouts.” to be released in October 2011. Sami is also his own Producer, Engineer, multi-instrumentalist and is the Founder/CEO of his own record label “SVE inc. records” and his own entertainment company “The Same Effect entertainment” through which he will be releasing his records fully independent. The new record will be all on his own from the vocals, instruments all the way down to the mixing and mastering. His plans of releasing a full album annually officially starts this year. “I’m very excited and I have worked hard and will continue to do so.” As he also quotes himself, “I don’t flirt with success, I marry it.” Well known for his studio-quality rendition of live songs twisted with his original use of effects and sounds. Sami Eldebs is rated as a “must-see” performance that is bound to take your breath away. So lend your ears and seek the difference….